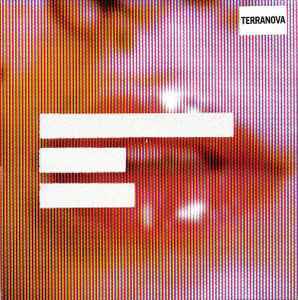 Terranova continue their dub menace with HITCHHIKING NONSTOP WITH NO PARTICULAR DESTINATION, kicking things off with the electro dub of "Breathe." "Sublime" and "Heroes" shift into hip-hop, but the digital funk really gets going with "Aht Uh Mi Hed" and "Fun Gallery." "Mongril" injects a shot of rock energy in as well with some female toasting, while "Hell" shifts back into a big beat excursion of the netherworld, though it's "Angie (O.S.T.)" that really gets the percussive frenzy going before "Goodbye the Ferrari" bring the rock back in a big, though not impressive, way. Good thing Terranova would find their destination before too long. Well... It's different. In your face, like hiphop with flashes of bigbeat, dancehall, prodigy, moby. If guitar-laden groove with rap is your thing, track 02 will satisfy, though i think it's dull. But if you liked that the about face into the uncertain kraftwerkian beat on 03-At Uh Mi Head will likely leave you reaching for FFWD. We get some more guitar and female ragga on 04. Then 05's Fun Gallery delivers a solid 4 on the floor teutonic beat with a catchy microwave synthline - probably the most focused and accomplished track on the CD. But then the listener is slapped with 06 "Equal Rights" - yet another about face. Ok, maybe one of the stronger tracks with a cool message that manages to avoid being preachy (nods head to the beat in righteous admiration). I'll skip the rest... if big-beat with guitar is your thing, check it out.